Despite its proximity to Mykonos, Tinos couldn’t be more different than the famed party island. Tinos is more known for religious history, stone architecture, and 40 interconnected traditional villages. Although Tinos is off the typical tourist trek, you will find many religious pilgrims visiting here, especially if you travel during August, when pious visitors flood the island for the Feast of the Assumption of the Virgin. Tinos is considered an important religious site, due to the icon of the Virgin Mary, which some people believe to be responsible for miraculous events. The pilgrims that come to the island crawl from the ferry to the shrine. 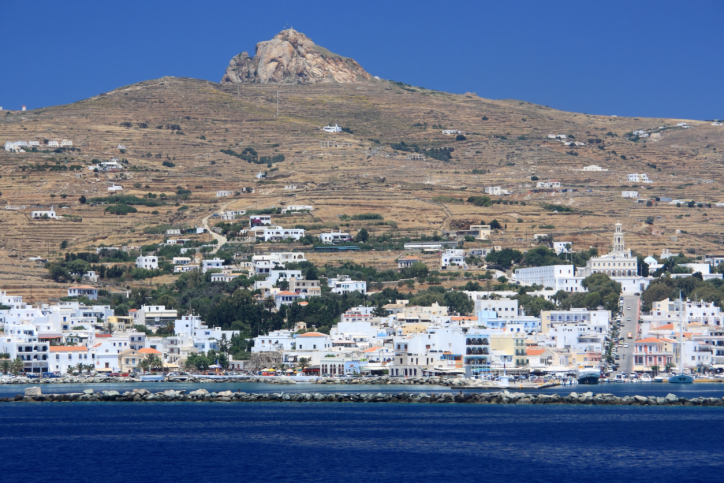 Of course, Tinos has much to offer, even if you’re not a religious devotee. The island has many beaches, most of which are deserted compared to the more popular Greek Islands. Water sports like diving, windsurfing, and spear fishing are all popular here. Hikers will love wandering the intricate stone paths that connect the 40 interconnected traditional villages. Where is it? The Greek island is in the Aegean Sea. Where to stay? At the Vincenzo Family Hotel, which features rooms with balconies and water views. What else should I know? Aside from the Feast of the Assumption of the Virgin in August, religious festivals in January, March, May, and December also draw big crowds, so book accommodation early during these times. Who’s it for? Devout religious people, hikers, swimmers, anyone who wants a Greek Island without the parties.